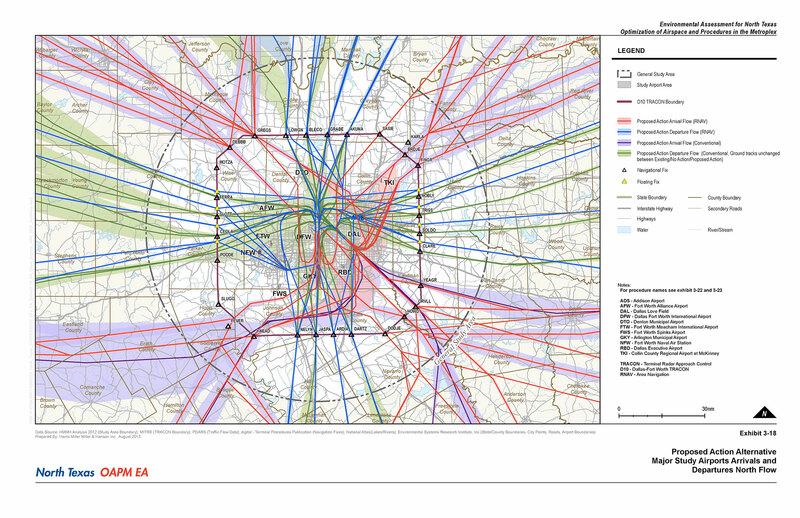 The FAA developed the Optimization of Airspace in the Metroplex effort to improve efficiency by introducing NextGen capabilities such as Performance Based Navigation (PBN) for 21 Metroplexes (geographic areas serving multiple airports in the same metropolitan area) across the US. For each Metroplex project, the FAA must perform an Environmental Assessment (EA). HMMH prepared two of the first Metroplex EAs: one for Houston and another for North Texas (Dallas-Fort Worth). 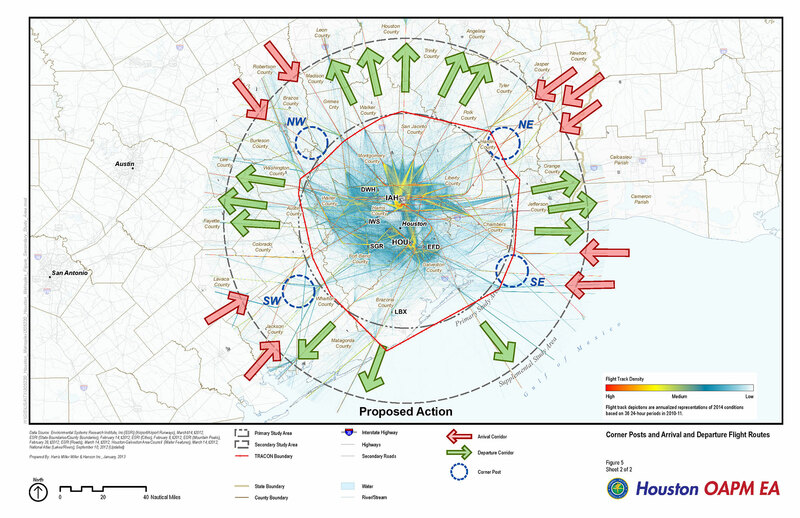 The Houston EA served as a pilot study for how FAA could streamline effort but still comply with NEPA when undertaking future NextGen implementation efforts. Both Metroplexes include two Class 1 (large, scheduled air carrier commercial service) airports, and over 15 other general aviation or military airfields with dozens of interrelated instrument flight procedures warranting a large-scale redesign. The EAs examined and disclosed environmental consequences anticipated from developing and implementing new or revised RNAV/ RNP procedures in these regions. In order to quickly and efficiently analyze and predict environmental consequences of large-scale instrument flight procedures affecting numerous airports in a region, HMMH applied its proprietary suite of noise modeling pre-processing tools.